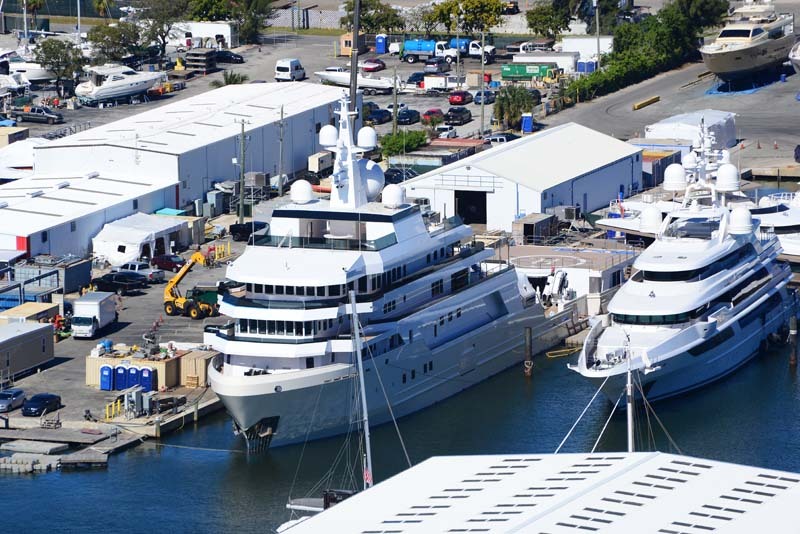 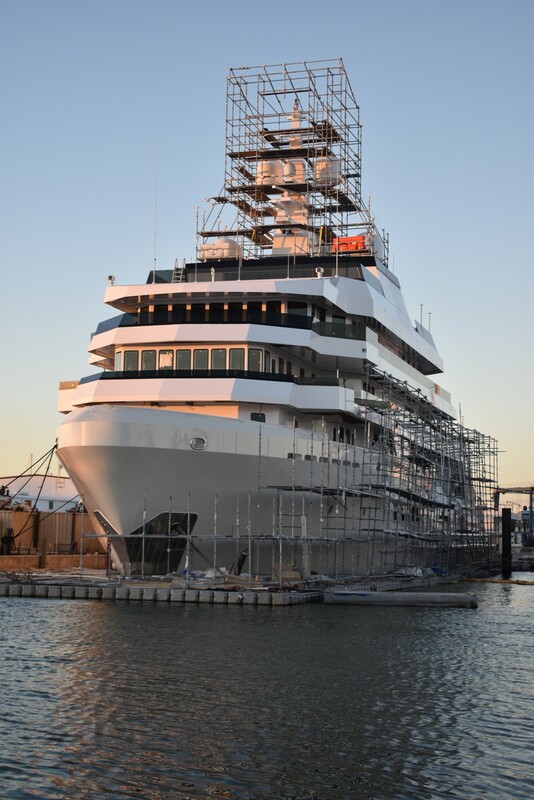 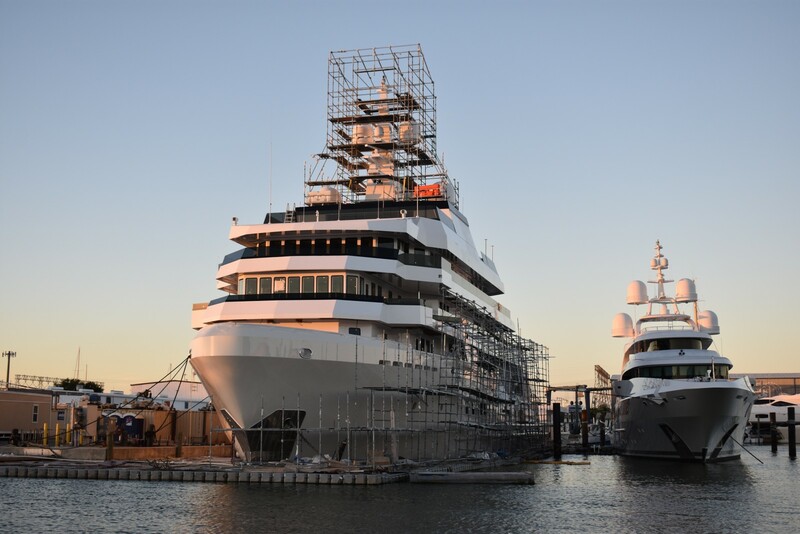 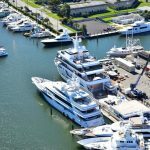 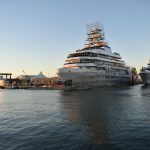 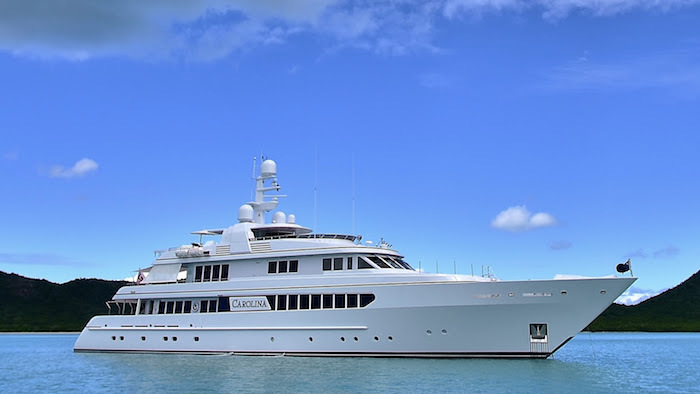 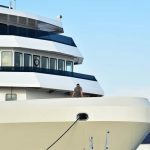 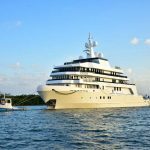 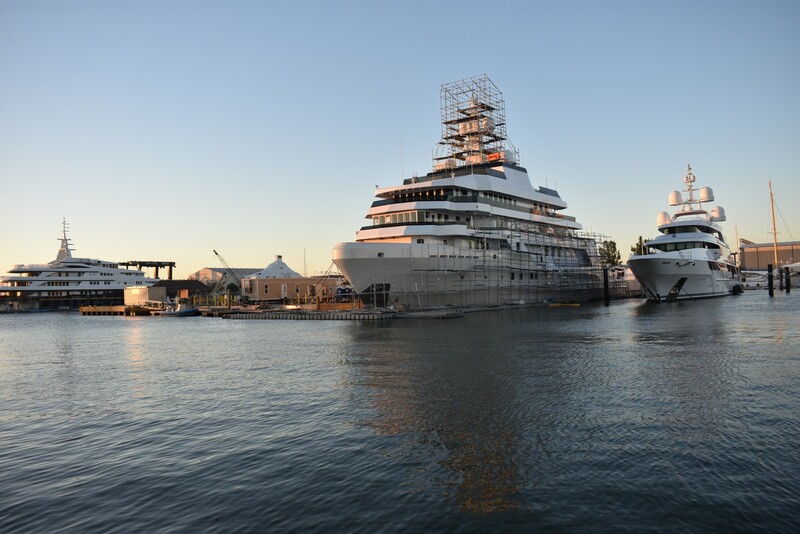 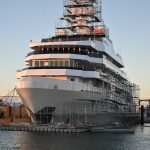 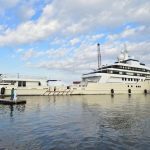 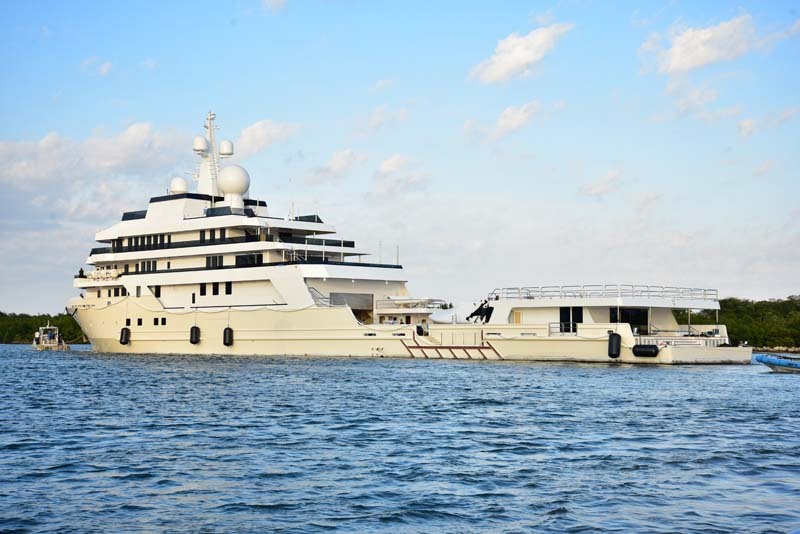 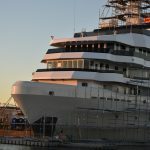 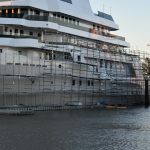 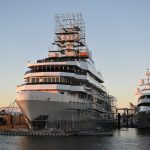 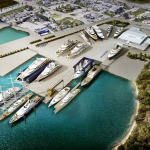 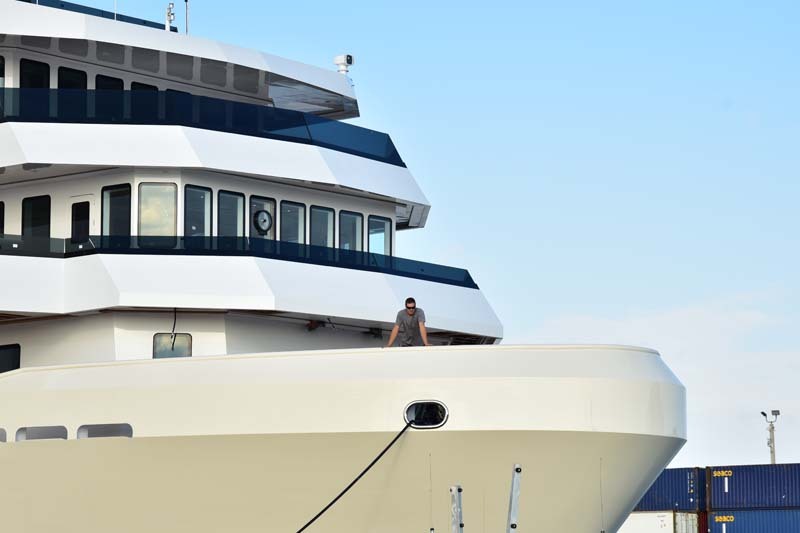 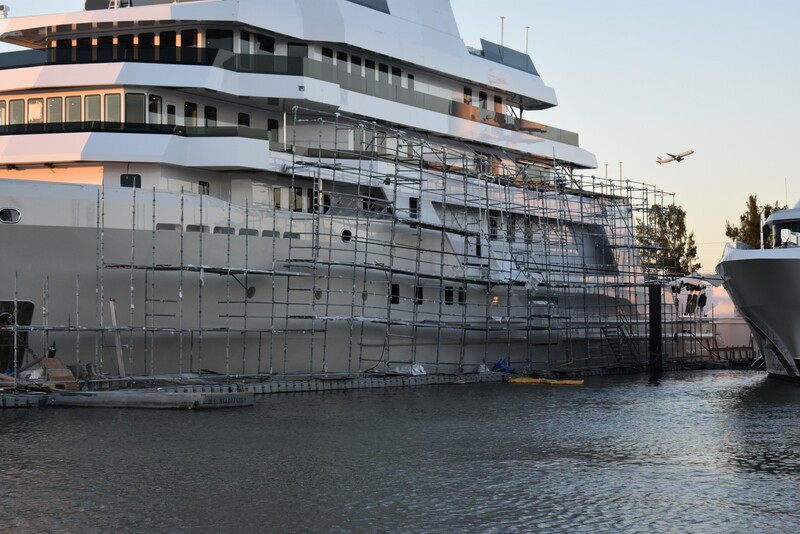 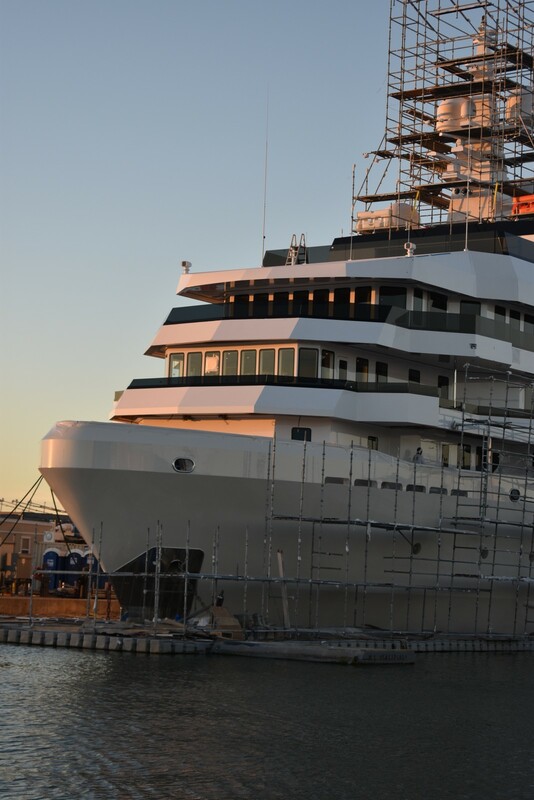 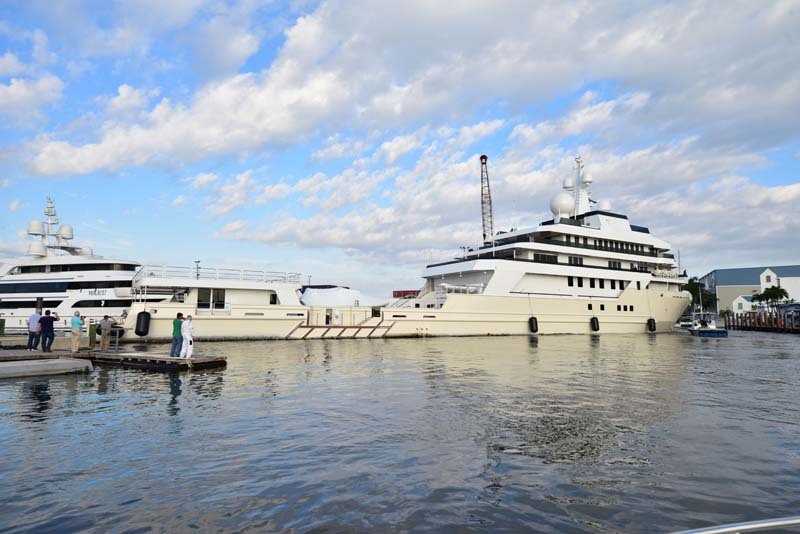 The nearly 300-foot M/Y Voyager, which had been hidden under shrink-wrap and scaffolding at Dania Cut Super Yacht Repair for almost three years, came out into the sunlight in early January. 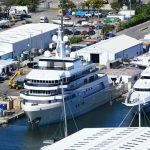 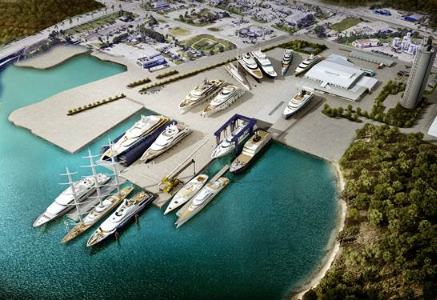 The five-deck M/Y Voyager will be an expedition yacht and is expected to carry up to 70 crew members and specialized staff. 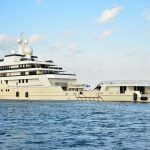 Formerly the supply ship M/V HOS Trader, the refit was towed out of the shipyard just south of Fort Lauderdale by Steel Marine Towing on Jan. 16. 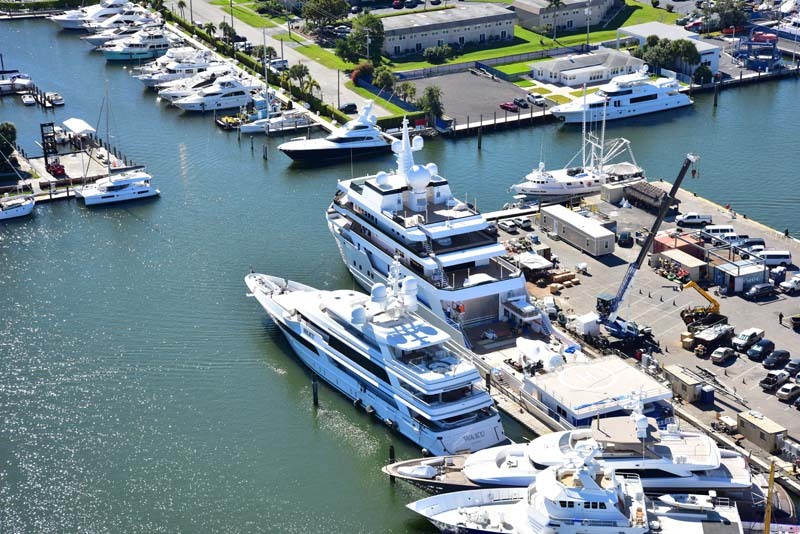 A forward, stern and two side tugs pulled the vessel to Port Everglades turning basin while a fifth boat traveled ahead. 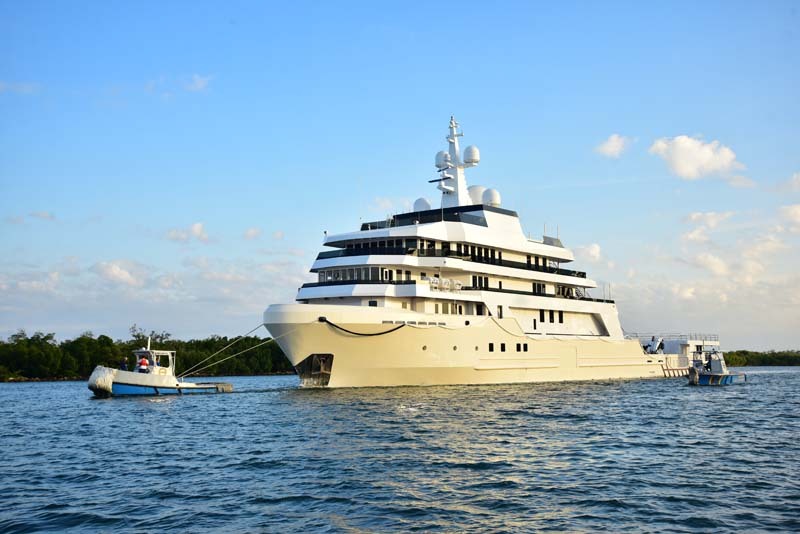 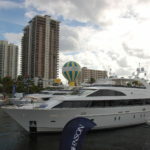 Voyager was then transferred to Dann Ocean Towing’s Stephanie Dann to head to a shipyard on Florida’s west coast.